"Own your Linkin Park live experience now and relive it again and again! 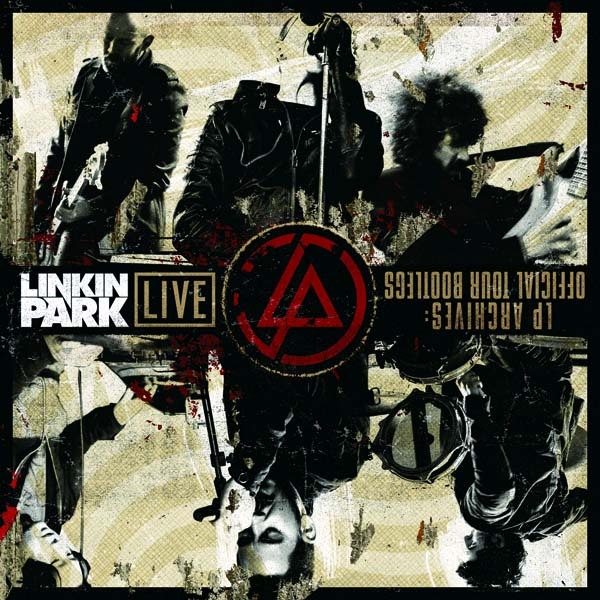 Due to demand from YOU the fans, Linkin Park has launched the "LP Archives: Official Tour Bootlegs" comprised of over 100 professional live concert recordings from 2007 – 2009. The LP Archives are now available to the public at http://downloads.linkinpark.com. The shows are $9.99 each, with a bundle deal to buy 5, and get the 6th FREE. As an added bonus, anyone who purchases at least one show will receive a 1-month online only trial membership for LP Underground, Linkin Park's Official Fan Club. Fans who purchase 5 or more shows will receive an annual online only LPU membership for FREE! LPU members had the chance to exclusively purchase the shows 2 weeks before they went on sale to the public and received a 25% discount on their purchases! To purchase "LP Archives: Official Tour Bootlegs," visit http://downloads.linkinpark.com. " The cover for the shows is now available for those of you who bought the shows before and want it. Remember, we have a cover for all of the released DSP's...like a Projekt Revolution 2007 one, etc...so I guess you can use this one for those or the new ones...not sure how that'll exactly be done lol. I'm using it for AUS/NZ and keeping the others like I had them already. Cover art image can be found here. Enjoy! Please help me. Send me PM or write here in the forum. anyone else realize that a regular online membership is 15 dollars but effectively people are gonna pay 50 for it with this because someone threw in the word "free". am i being too cynical or is that true hahaha. but they really do need to change the cover, thats the cover they always have they just change the words for it. What are the 5 DSP's to put on my iPod? I already have Melbourne 2007 (Night 2) but I want 4 more shows that are really awesome. No sharing of DSPs on the LPL site. I wasn't talking specifically about the Australia/NZ 2007 shows, I meant like 4 really good shows from the span of Seattle 2007 (First DSP) to the last 2009 DSP available. only pictures,can someone upload these pictuers? Big thx! I got bored while my internet wasn't working and flipped around the cover, not the best but this is what it came out like.